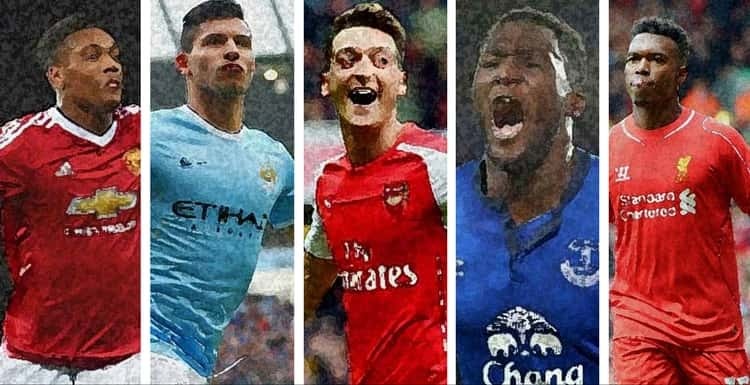 Some of the Premier League's biggest stars could be set for a hectic summer of transfers, according to Ladbrokes. With Sergio Aguero being left out of Pep Guardiola's starting line-up for the third game in a row, the bookies make it just a 7/4 shot the Argentine leaves Man City in the summer. Meanwhile, it's even more likely Liverpool part ways with Daniel Sturridge, with 1/3 on offer for the 27-year-old to seek pastures new when the season ends, according to Ladbrokes' summer transfer odds. Man United outcast Anthony Martial in an even-money shot to be sent packing by Jose Mourinho, while the bookies aren't ruling out an Emirates exit for Mesut Ozil at 4/1. Ladbrokes News' Alex Apati said: "It's likely this summer's transfer window will be the busiest we've ever seen, with plenty of high profile names already being linked with moves away from their current clubs." "But the odds on Lukaku leaving suggest one of Europe's elite clubs may well lining up a deal."